TOKYO, Nov, 26 2018 - (JCN Newswire) - Mitsubishi Heavy Industries Aero Engine, Ltd. (MHIAEL), a group company of Mitsubishi Heavy Industries, Ltd. (MHI) based in Aichi Prefecture, will join maintenance, repair and overhaul (MRO) operations for the PW1100G-JM aero engines. 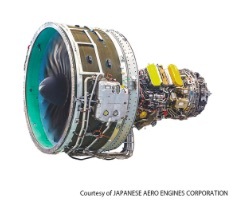 MHIAEL has signed an agreement with International Aero Engines LLC (IAE LLC), the entity that developed the PW1100G-JM engines, through Japan Aero Engines Corporation (JAEC)(1), which is a member company of IAE. Today, the PW1100G-JM engine is attracting steady demand, particularly for the popular Airbus A320neo series jets, and MHIAEL has opted to join the MRO arrangement in addition to currently providing MRO for PW4000 engines on the Boeing 747, 767 and others and V2500 engines on the A320ceo. 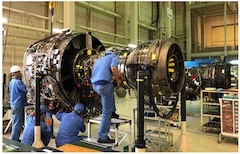 The PW1100G-JM engine was developed by IAE LLC with participation from its member companies, Pratt & Whitney(2) (P&W) of the U.S., MTU Aero Engines AG (MTU) of Germany, and JAEC. (1) JAEC is a consortium, consisting of three Japanese companies: IHI Corporation, Kawasaki Heavy Industries Ltd. and MHIAEL has over 30 years of experience in international collaboration for commercial engine development. (2) Pratt & Whitney is a division of United Technologies Corporation.